Welcome to the Aging Mastery Store! 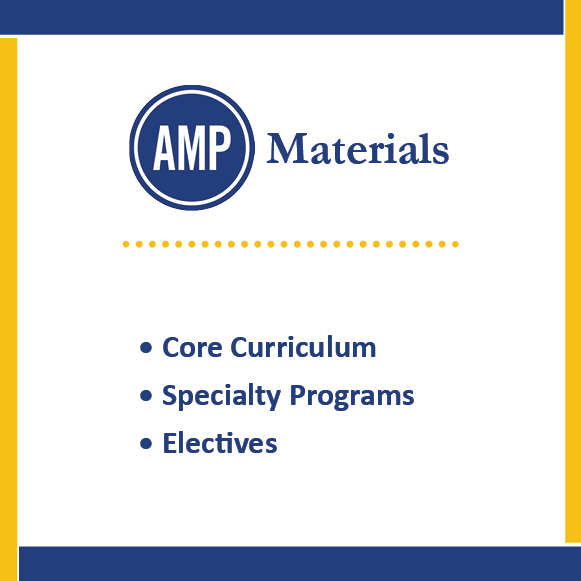 The Aging Mastery Program® (AMP) aims to help millions of baby boomers and older adults take key steps to improve their well-being, add stability to their lives, and strengthen their ties to communities. 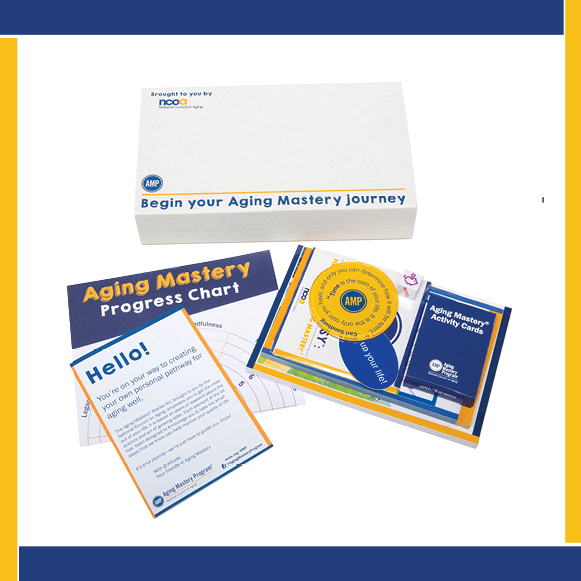 Start your Aging Mastery journey today by purchasing your at-home Aging Mastery Starter Kit, or the materials for your community classes. Click on the image below of the items you'd like to purchase.